Tudor is a standalone sub-brand of watch giant Rolex, with a focus on the younger wearer and more affordable prices. With activity in mind, the brand produced sports watches and later one similar to the Rolex Submariner that has become very popular. Just like Rolex, Tudor has a strong market presence and huge popularity attributed to their innovative movements and slick design. Very much keeping up with popular culture, the brand has high-profile ambassadors including Lady Gaga and David Beckham. To cover the ever-expanding Chinese market, pop star Jay Chou is the company’s face in China. 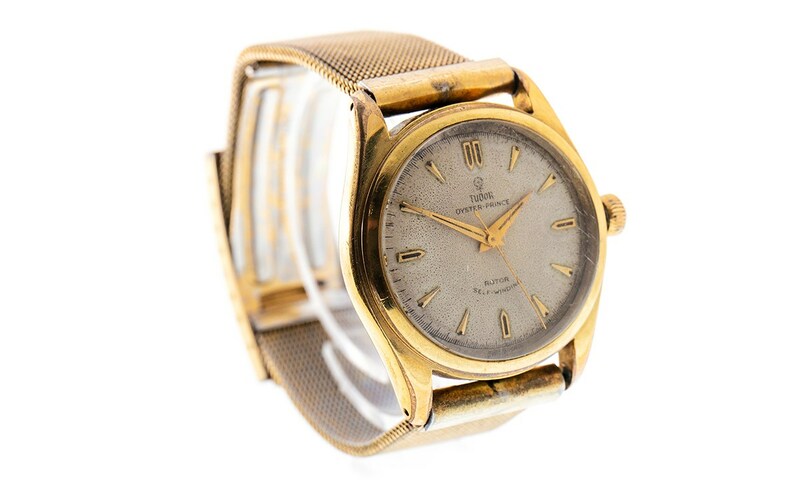 Lot 766 in the Watches Auction on 6 November is a classic Tudor watch with gold hour markers and sword hands. With its classic looks, this timepiece will appeal to gentleman of all ages. McTear’s sells more watches than any other traditional auction house in the dedicated watches auctions that take place monthly, run concurrently live online on a platform that attracts six million visitors annually from over 120 countries worldwide. Come along to the Valuation Days at McTear’s on Tuesday, Wednesday and Thursday this week for complimentary auction advice.